When it comes to children’s bedrooms – it’s more than just a place to sleep in. It’s a space to play, imagine, dream and create. And, of course, have the odd doze once they’re all worn out! 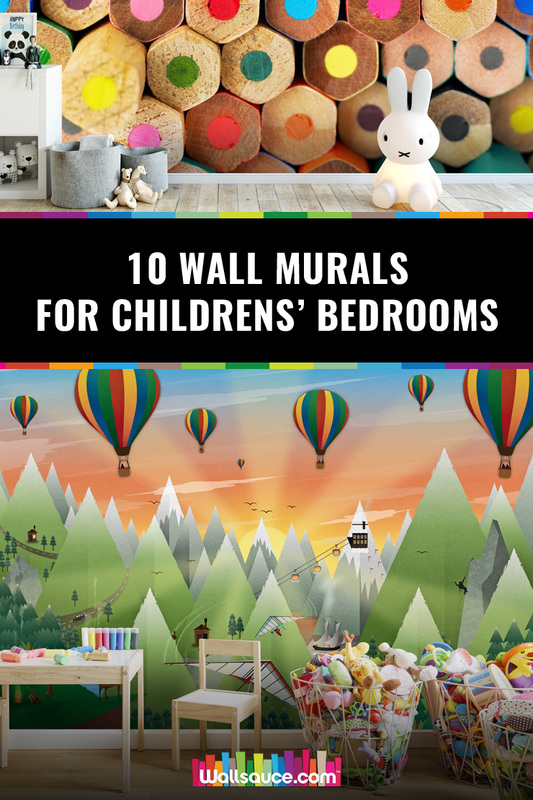 Whether it’s a nursery, their first “proper” bedroom, or a teenager’s hideaway den, you can really have lots of fun and inject a ton of personality into children’s rooms. 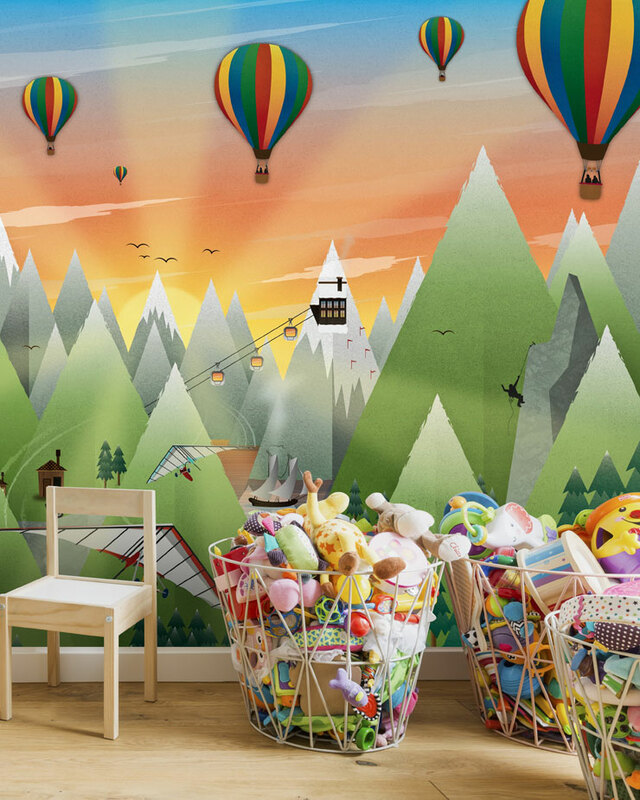 And one of our favourite ways to do this is by using children's wall murals. Original, unique and able to transform any room from a fantasy forest to a stunning sci-fi cityscape, murals are a fantastically creative alternative to paint or wallpaper, and look a lot more impressive than tacked-up posters! 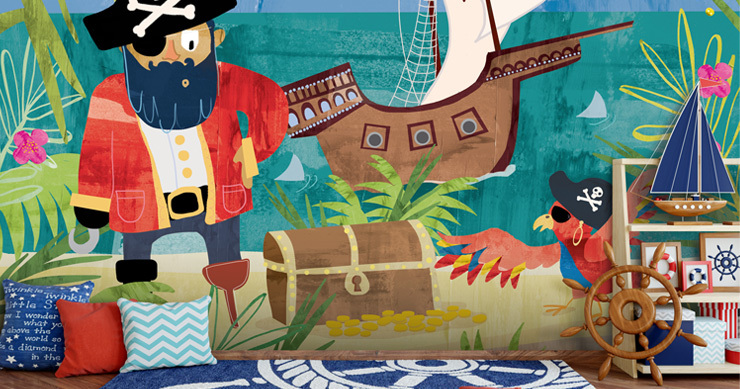 Perfect for any swashbuckling child who loves to play pirates! 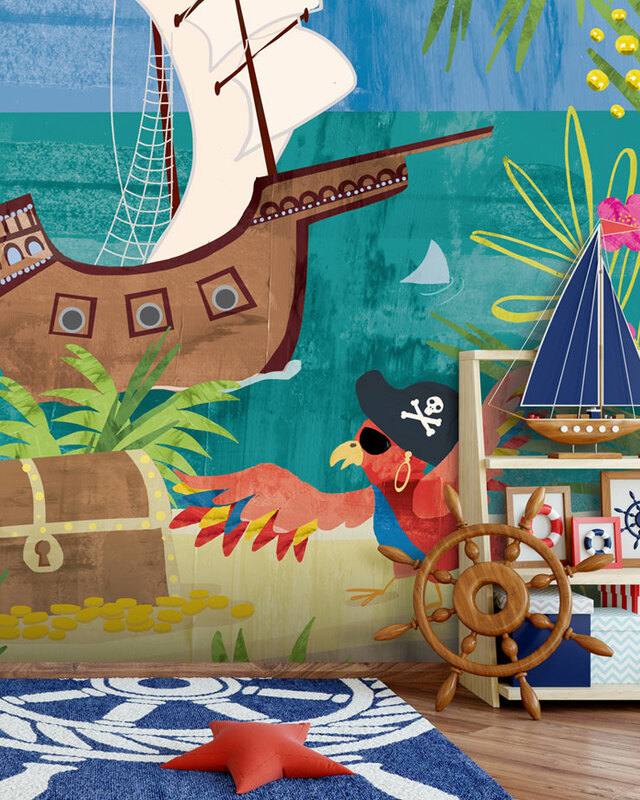 This will add a fun nautical theme to your room, complete with a pirate ship mural, the beaming sun, the waves of the sea and even a few sharks too! Take a trip to space with this mural! Head into outer space with this awe-inspiring image from our children's space and rocket wallpaper collection! 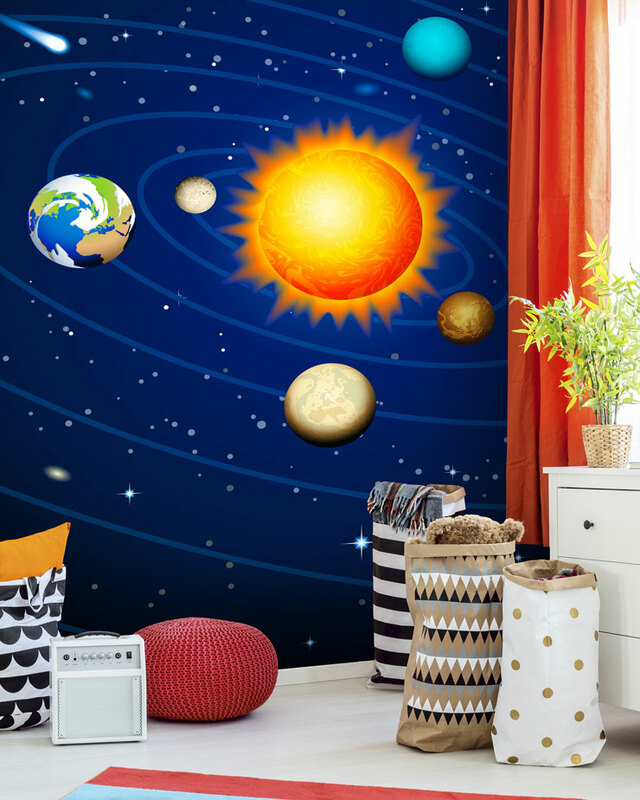 Featuring beautiful, colourful artwork of each planet and their individual orbits, as well as lots of glittering stars, asteroids and more, this mural is ideal for budding space lovers. For anyone who loves the snow! Get whisked away in this surreal wintery ice palace, complete with cute polar bears! 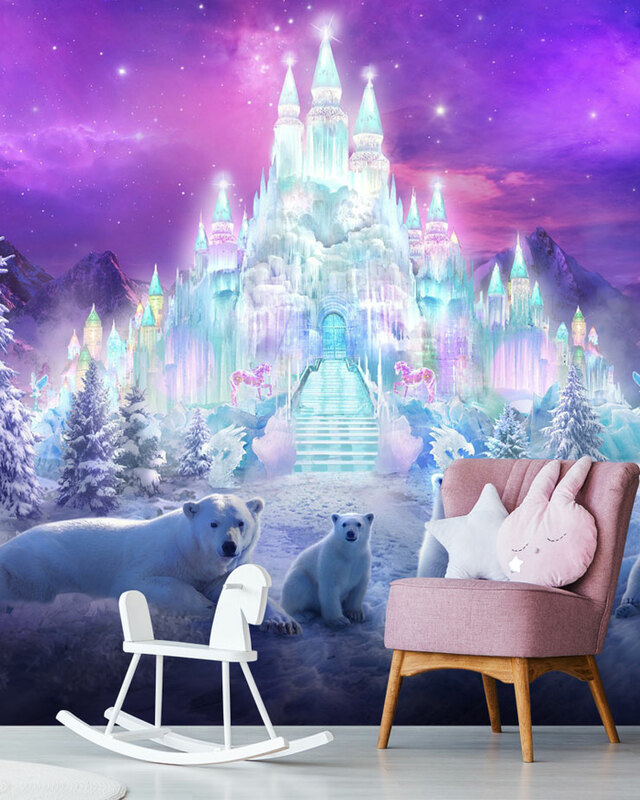 This fantasy wall mural would make a great feature wall for any “Frozen” themed bedrooms and we think your little ones will feel like fairytale princesses and princes with this to wake up to every morning! 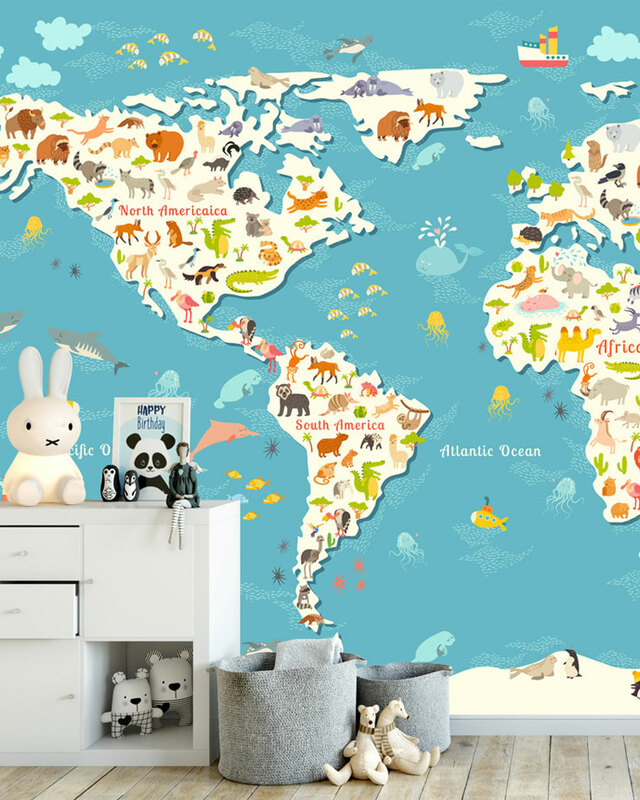 Calling all budding explorers, this funky cartoon take on the world map doesn’t just show you where everything is – it also gives you a sneak peek into the iconic sights and sounds from different places around the world! From the Eiffel Tower to Big Ben, children's map murals are a fun way to plan future trips or simply learn more about the world. 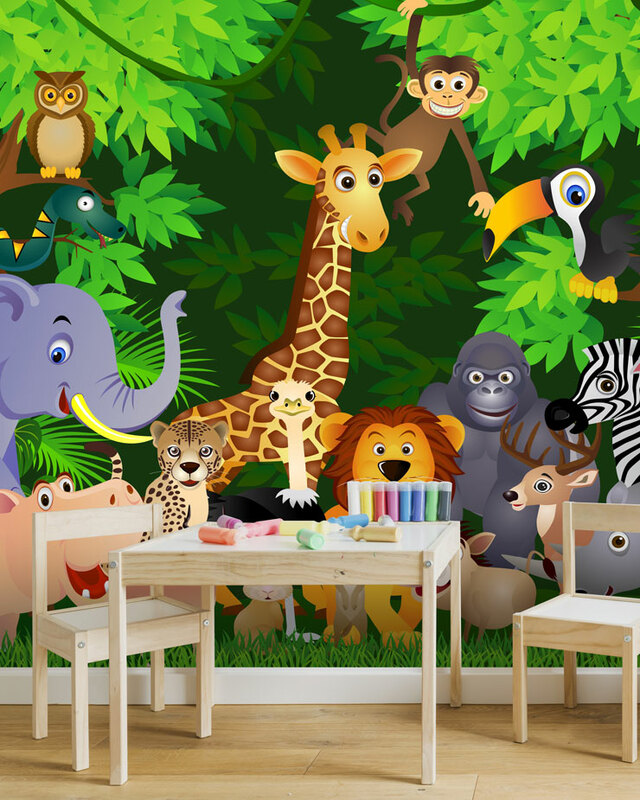 For animal lovers both young and old, this jungle-themed wall mural features friendly cartoon animals for your child to learn about and grow up with. From giraffes, elephants, gorillas and lions, the mural also has animals your child might see out and about, like rabbits and squirrels. It's an ideal design for creating a gender-neutral kid's room. 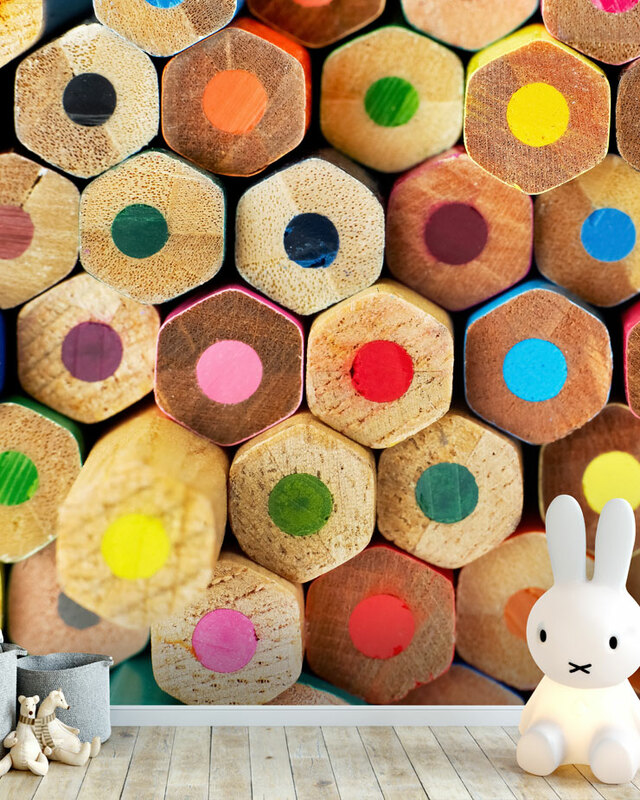 Bring out the creative side in your child with this coloured pencils wall mural. A great way to showcase a mixture of colours, if your child loves to draw and paint, this mural will be cherished by them! This mural is also a fab idea for your home office. Fancy something colourful, but not too overpowering? We really love charming and minimalist wall mural of hot air balloons soaring through the sky, with fluffy white clouds and the occasional bird! There’s a very serene and calming feel to this design so it would be a great design idea for a nursery. London is certainly an exciting and inspiring place to visit – no matter how young or old you are! Our collection of London-themed murals capture all the buzz and energy of the city – from the iconic ‘Mind the Gap’ message to Big Ben and the Union Jack. Choose from a variety of styles – from quirky pop art-styled murals to fun and funky cartoon maps of your favourite sights in the city! Brighten up your child’s bedroom with an under-sea view of colourful corals and fascinating tropical fish. 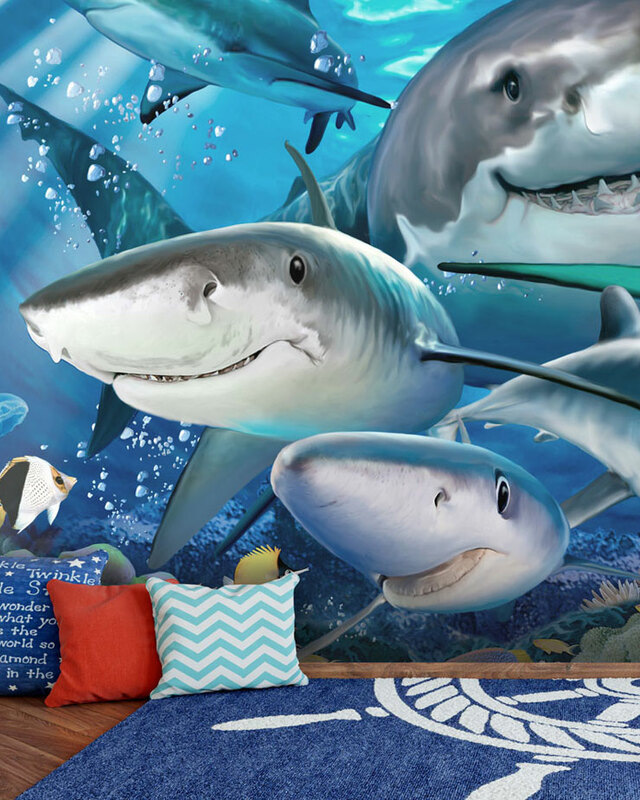 This is just one of the sea life wall murals available at Wallsauce and we love how it transports you to a whole new world. 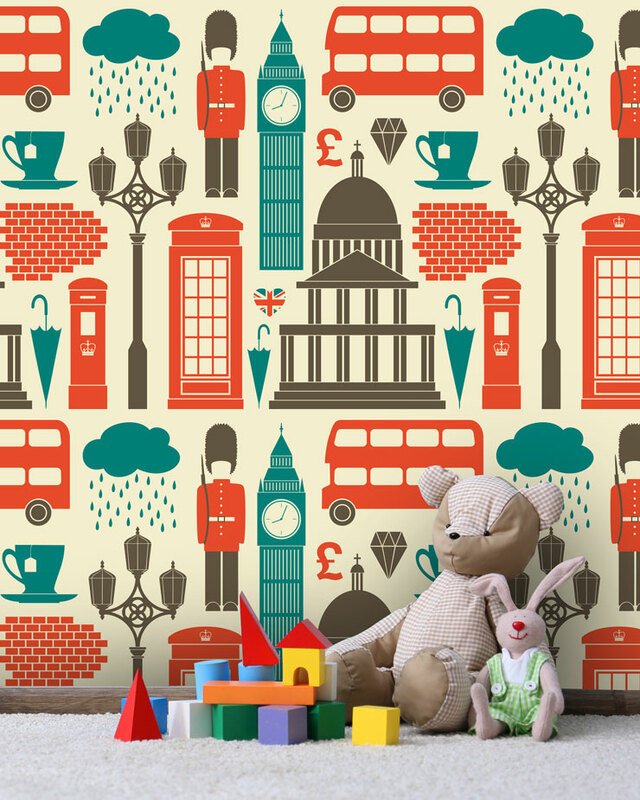 Head on over to our range of children's wallpaper murals to find your perfect design. If you enjoyed this blog post, you may also like our post on boy's bedroom ideas that he will love. Alternatively, we'd love to hear your comments below on how to create a stunning playroom, bedroom or nursery!